Thelonious Monk. Mixed Media on 12" Vinyl Record. Miles Davis. 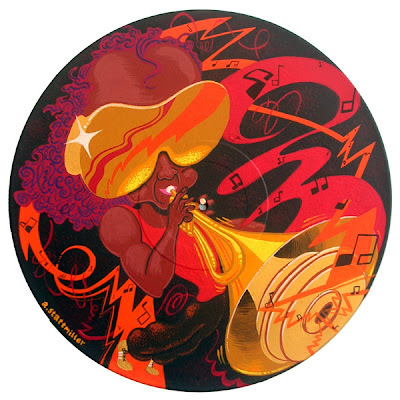 Mixed Media on 12" Vinyl Record. 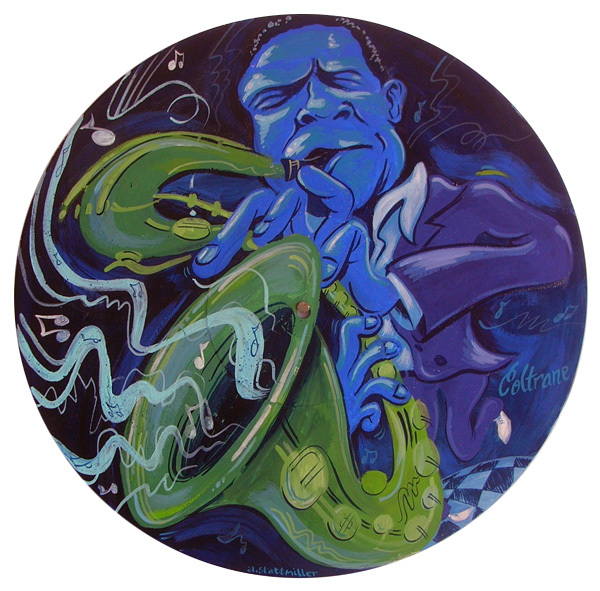 John Coltrane. Gouache on 12" Vinyl Record. 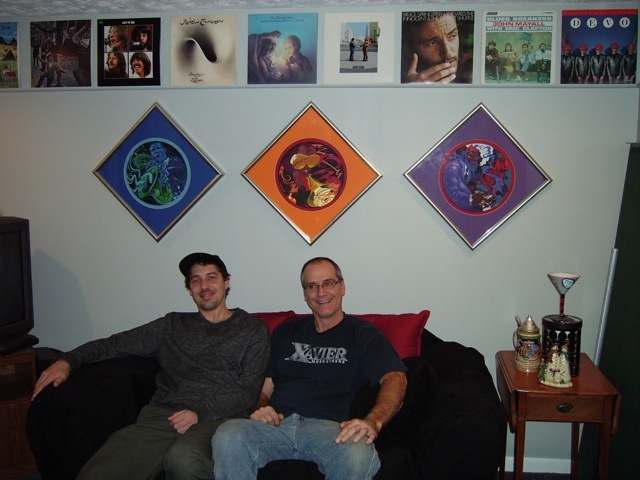 Me and Uncle Matt (Man cave dweller). Usually when you hear "cave art" you think of horses and rhinos and other gnarly beasts drawn 36,000 years ago deep in the damp caves in the South of France. Well, this ain't that kind of cave, this is the man cave! 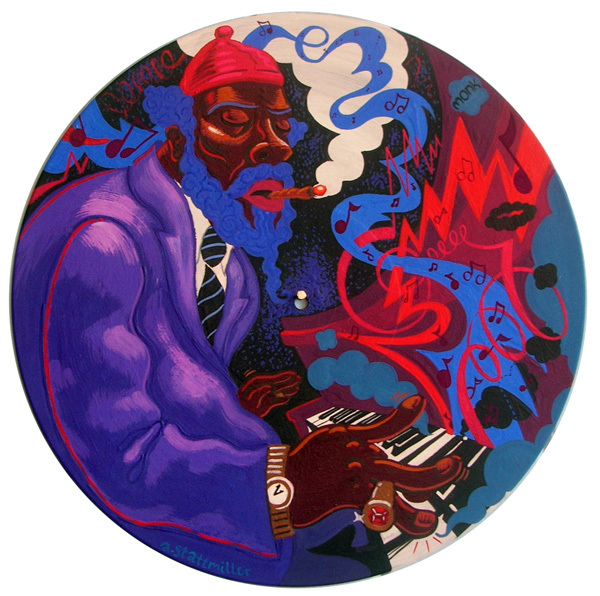 Here you will find paintings of some of jazz's greatest, John Coltrane, Miles Davis, and of course Thelonious Monk. Uncle Matt is quite a music aficionado. His cave is surrounded with classic vinyl from circa 20th century A.D. Dwellers of this man cave have been seen playing the game of billiards while drinking Kentucky bourbon and listening to these well preserved musical artifacts on the phonograph record player.